Pittsburgh, PA (April 22, 2011)—Clique Vodka got a face-lift, a very interactive and technical one to be exact. It is the first liquor bottle in Pennsylvania to have a QR code and promotional text code on its label. The liquor industry, among numerous other industries, is rapidly changing to meet the social media, instant update-type society we’ve all grown accustom to. 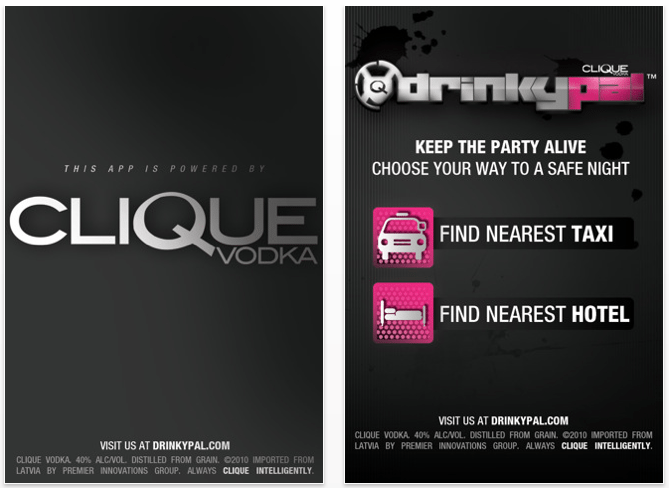 With the QR code technology on the back label, you are instantly directed to Clique Vodka’s mobile website, powered by SongWhale. It includes links to their Facebook Fan page, which currently has over 7,100 followers, their Twitter feed, which currently has over 3,300 followers, and a link to their custom-made iPhone App DrinkyPal. 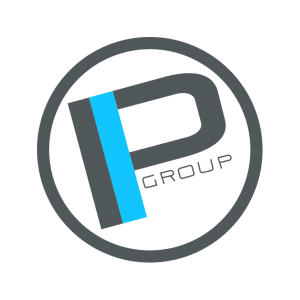 “The idea of DrinkyPal was to offer a free nationwide app to our consumers to help promote our ‘Clique Intelligently‘ campaign. This campaign was designed to promote responsible consumption and awareness”, said Pat Hanavan, Vice President of Social Media and Brand Management. The DrinkyPal app lets users pull up a list of the nearest taxi companies and the nearest list of hotels to help prevent drinking and driving. This iPhone app is available nationwide and works based off of the iPhone’s GPS system. DrinkyPal is available in the Apple iTunes Store for free, as well as a link from the scanned QR Code on the back of our bottles. “Being in the liquor business, it is our company’s biggest goal to stand out by accomplishing outstanding corporate and social responsibility. We are so proud of our branding department for putting together an application with cutting edge technology towards better safety against the potentially dangerous effects of alcohol consumption” stated Noah Cohen, CEO of Premier Innovations Group. You can find Clique Vodka’s new interactive bottle in Pennsylvania, Tennessee and West Virginia. 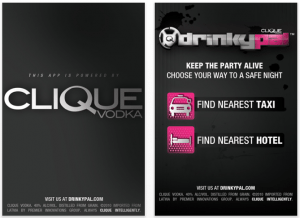 The DrinkyPal iPhone App is available nationwide. Click Read more to view the Coverage.